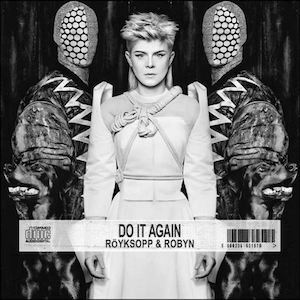 As a fan of almost everything else that Robyn has done, her newest album done with Röyksopp, entitled Do it Again left much to be desired. When I think of Robyn’s music I think of upbeat, dance friendly tunes-I think about summer and I think about the only scene of HBO’s Girls that I ever liked. Her music no matter the content is joyful and full of life. Which makes Do it Again so woefully underwhelming. It’s not that it’s a poorly made album-it’s that it’s simply not as exciting to listen to. The songs are well crafted but I won’t be listening to the album through again save for a song or two. The highlights are “Do It Again” and “Every Little Thing”. The former manages to capture much of the fun that typical Robyn albums entail bring a heavy beat to the song without forgoing the vocals. It runs a little long but considering the brevity of the album it can be ignored. “Every Little Thing” slows it down but it doesn’t meander or become dull. Instead it’s a nice change of pace coming directly after the exuberant “Do It Again” and the transition is natural. For the first half we get to hear more of the vocals and the emotional input until around the midway point where the music and the synths begin to take control again, building to a timely crescendo. Simply put-this album wasn’t for me. This hardly means it’s it isn’t worth listening to. Music is one of the most subjective art forms out there and I’m sure I’ll be vehemently disagreed with. However, it my opinion the album is dull and could have used a wider variety of sound. If all else-go and listen to Robyn’s solo albums. They’re phenomenal.